At least once a year, one or another of the world’s larger mines can be expected to announce the successful completion of a record-breaking production blast. These events serve as a good reminder that, despite the significant advances achieved by explosives suppliers and their mining customers in the areas of safety, economy and productivity, there’s always room for expansion and improvement. These mega-blasts also highlight the philosophy that there’s really no faster way to bump up production numbers than by taking advantage of the digging, loading and crushing benefits provided by a well-planned blast. Blasting still reigns as the most powerful tool in the surface miner’s toolbox. 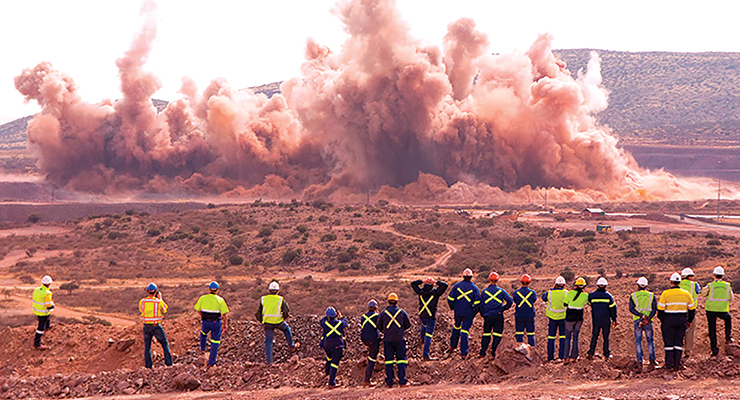 Last year about this time, Kumba Iron Ore’s Kolomela mine in South Africa reported a record single blast that loosened more than 2 million metric tons (mt) of waste material for removal. About 940 mt of explosives were set off in a timed sequence over 3.5 seconds. The blast area covered 4.6 ha (>11 acres). Preparation for the blast started almost two months earlier than the early-August shot event, involving the staking and drilling of 2,542 holes to an average depth of more than 17 m (55 ft). In comparison, an average blast at the mine generally produces about 400,000 mt of material, and the previous largest blast produced 1.6 million mt. More recently, a coal mine in central Queensland, Australia, benefitted from what is claimed to be a world record through-seam blast. Dyno Nobel reported that the blast, which took place on April 24, required 4,788 of its DigiShot Plus detonators and thus qualifies as the largest through-seam blast ever recorded using electronic detonators. Loaded over a 16-day period, the thousands of DigiShot Plus detonators initiated 1,729 blastholes on four terraces, with no misfires. According to Dyno Nobel, capabilities inherent in the DigiShot Plus electronic platform were needed to provide the timing flexibility required for this project. The system, said the company, can initiate up to 9,600 detonators with a blast duration of 20,000 ms in 1-ms increments. Through-seam blasting helps to improve productivity by making it possible to blast through one or more coal seams in a single blast event. This is useful when coal seams are steeply dipping and enables blasts to be designed to a workable grade below the coal seam. Dyno Nobel said the use of flexible timing during through-seam blasting is crucial, serving to confine the coal and minimize movement and dilution while the interburden below the seam is blasted. The announcements reporting both of these blasts emphasized the safety measures that accompanied blast design and execution—an aspect that continues to receive a constant high level of attention from industry suppliers, with results that eventually filter down to the level of capabilities needed for more typically sized blasting events. A recent record-sized blast at an Australian coal mine required almost 5,000 of these DigiShot Plus electronic detonators from Dyno Nobe. For example, Dyno Nobel and its joint venture partner DetNet announced late last year that they had made safety-related improvements to their popular DigiShot 300S system, which is capable of firing up to 450 detonators. With the new DigiShot 300 RF system, the blaster has the capability to fire remotely with a single box application, allowing the blaster to choose a firing location where both the bench and ingress areas are visible. The DigiShot 300 RF system is designed for single-box firing with the capability of firing the maximum number of detonators at a distance of 1.5 km (3,281 ft). The system will also continue to support box synchronization with two boxes when firing in hard-wire mode. The ability to adapt to different blast sizes through one-box remote firing or two-box hard wire. The DigiShot system upgrade follows Dyno Nobel/DetNet’s introduction of the underground-oriented DriftShot electronic initiation system, which offers the advantage of electronic initiation while retaining easy tie-in characteristics similar to the NONEL initiation system. Dyno Nobel’s new DigiShot 300 RF blast initiation system. Dyno Nobel said DriftShot was designed to provide electronic accuracy that can help deliver benefits such as better advance rates and improved wall stability. The system has flexible timing options that assist in providing more consistent fragmentation and reduced overbreak as part of optimizing underground development blasting. DriftShot also requires only minimal components at the face—just the electronic DriftShot detonator in the borehole and a two-wire busline. To improve user safety, the DriftShot Blast Control Unit allows blast initiation from a remote location through a coded signal and has the ability to work on multiple communication backbones. It is equipped with a smart key, and requires a password for access. The DriftShot Tagger is a handheld device that communicates with detonators and collects data. The Tagger identifies and tests each detonator contained in the blast. The control unit can accommodate firing of up to 200 detonators per DriftShot Tagger channel. 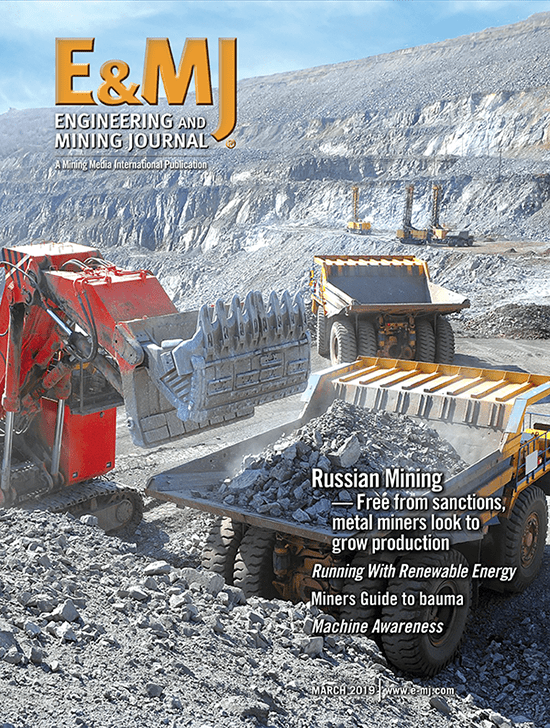 In another underground-related development, South Africa-based AEL Mining Services reported in April that it has entered into an agreement with ELB Engineering Services for the installation of turnkey Vertical Drop infrastructure that it claims will enable deeper, safe and efficient delivery of emulsions for blasting in underground mining operations. A Memorandum of Understanding between the two parties was signed at AEL’s head office in Johannesburg in March that will see ELB exclusively installing the AEL-patented infrastructure at customers’ sites as required, while AEL will sign off on completion of the projects, commissioning and supply of emulsion. 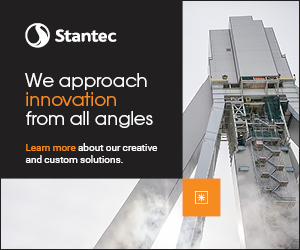 The Vertical Drop system enables safer deeper-levels mining by allowing emulsion and sensitizer to be delivered to storage tanks underground, thereby offering the requisite explosive energy on tap. The system reportedly enhances safety and provides logistics and costs benefits. The agreement between AEL and ELB is a culmination of work carried out over five years and this innovation will literally break new ground for the industry, according to the company—it will provide mines with access to emulsion supplies at depths down to 700 m, in comparison with current capabilities that have only reached 225 m.
ELB’s work will include the establishment of needed roadways, surface delivery point, drilling of the borehole, installation of all piping and underground storage tanks, as well as the respective piping and ancillary equipment and required safety and control devices. AEL also unveiled InstaStem, a range of non-detonating, self-stemming rock breaking cartridges, at an industry trade show and conference held in April. An AEL spokesman explained that InstaStem cartridges produce no shockwaves, which means these products are safe and ideal for use in vibration-sensitive areas. The non-detonating nature of this range of products ensure safer operations because they provide no over-break detonation damage in a tunnel roof or floor. According to the company, there is no risk of auto-ignition with this product and they have a shelf life of 18 months. In South Africa, regulations do not require InstaStem cartridges to be transported by an explosive truck for quantities less than 250 kg. “InstaStem operations are also suitable in areas of low ventilation, as the blasts emit only harmless gasses, which are quickly diluted, and there is a minimal gas re-entry time of about 15 minutes,” said AEL’s account manager for South East Cluster–Northern Region, Velly Mngomezulu. Because there are no stemming or special drilling requirements, these products provide “drop-and-go” ease of use and do not impact support infrastructure. Thus, according to AEL, there is no interruption or down time caused to the quarry or mine because there is no need to remove equipment or staff. Second-generation AutoStem cartridges from Advanced Non-Detonating Products. Mngomezulu said the range is efficient and competitive with traditional explosive products. “Although these products deflagrate–as opposed to detonate–at 360 m/s, the energy content contained within these cartridges is comparable to that of a high explosive,” he explained, added that the technology is also highly accurate, delivering no overbreak. Another South African company, Advanced Non-Detonating Products, also offers self-stemming, non-explosive cartridges for mine-site rock breaking as well as close-quarter blasting in locations where the use of conventional explosives would be problematic. A spokesman for the Cape Town-based company told E&MJ that in a comparative study between the use of a conventional high explosive and their first-generation AutoStem Series I cartridges in underground applications, AutoStem displayed advantages in terms of safety, environmental issues, ease of use and cost-effectiveness. In the study, the same round was drilled for each product to compare “like with like” but using 10 kg of conventional explosive and 4.6 kg in total of 100-g AutoStem cartridges—effectively less than half the charge, in the same pattern. However, use of AutoStem only involved drilling, inserting the AutoStem cartridge with no detonator (AutoStem comes with its own igniter) and no stemming required. This stemming truck from Australian truck body builder Ausroad is based on a standard Scania off-road truck model. The company’s AutoStem (Generation 1) cartridge line was introduced in 2014. Available in 32 mm diameter and suitable for use in a 34-mm-diameter borehole, AutoStem (Gen 1) cartridges come in 20-, 40-, 60-, 80- and 100-g sizes with 60- or 100-g boosters. The company’s second-generation cartridge was released earlier this year, designed to be used in hard rock mining environments, particularly in underground mining. The Generation 2 cartridge contains a dual stemming mechanism that acts to create a strong, confined seal around itself to maximize energy delivery to rock while eliminating energy loss in fractured ground. The product is available in 43-mm-diameter, 150-, 200- and 300-g charges. The design of the AutoStem (Gen 2) Cartridge is claimed to remove all possibility of user error and is said to be entirely safe even when initiated outside a borehole. A company video shows a Generation 2 cartridge firing while being held in a worker’s hand; the resulting “pop” is similar to, or probably less, than that produced by tiny firecracker, with no discernible adverse effect. The Ausroad stemming truck, one of several built last year for a major Western Australian producer, can load 500 kg of material into a blasthole in 15 seconds. When it comes to stemming of production blastholes, special-purpose stemming trucks can speed up the process considerably and also can add a higher level of consistency to the amount of stemming material placed in each hole. Models are available from several sources, including Conveyor Application Systems in Oregon and Ground Force Worldwide in Idaho, USA; StemSafe, Queensland, Australia; and others. Last year, Sweden-based truckmaker Scania and the Australian bodybuilder Ausroad reported testing a new stemming truck prior to its delivery to a major mining client in Western Australia. The client subsequently purchased the truck outright and took delivery of more vehicles through 2014. Ausroad said the stemming truck can easily deliver 500 kg of material to a blasthole in 15 seconds, with the truck’s 16-m3 capacity sufficient to fill up to 60 holes per load. Based on the latest Scania Streamline cab and mounted on a heavy-duty off-road truck chassis, the Scania G 400 8×4 carries a unique Ausroad hopper that delivers stemming aggregate via either an adjustable chute, located just behind the driver’s door, or a 5-m boom-mounted conveyor. The swing-out boom allows stemming to be delivered in areas that are tight against the face, eliminating the need for front-end loaders to accomplish that task. A 3,400-l onboard water tank feeds a dust suppression system comprising water jets around the aggregate spouts, plus a pair of powerful jets located at the rear. Aggregate flow control and rear boom maneuvering can be conducted via a joystick mounted in the cab or a wireless remote control from outside the vehicle. An integrated control screen fitted into the dash allows the operator to observe the amount of aggregate delivered as well as that remaining in the hopper.